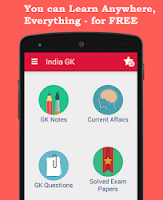 Current Affairs MCQs of 5 August 2015 Quiz: Current Affairs Daily Multiple Choice Questions (MCQs) for India GK, World GK and current affairs with Collection of daily objective type Question by www.Indiagk.net based on General Knowledge (GK) and General Science (GS) Questions for UPSC, State PSC, SSC, Police exam, Railway exam, SBI, Bank PO, IBPC, SSC, LDC, UDC, Army, Airforce, Navy, Coast Guard, Bank Clerk, TET and all entrance examination with current affairs News, Multiple Choice Questions (MCQs) available on Website www.IndiaGK.net and Android Apps with daily updates:. What is Cash reserve ratio (CRR) as per RBI Policy on 5th August 2015 ? What is repo rate as per RBI Policy on 5th August 2015 ? Which statement about third bi-monthly monetary policy statement by the RBI is true ? On 5th August 30 passengers were killed after two trains derailed near Harda in ----------- state? One militant was caught alive on 5th August in which state ? The scrap metal of Lost Malaysian plane MH 370 was found in ?